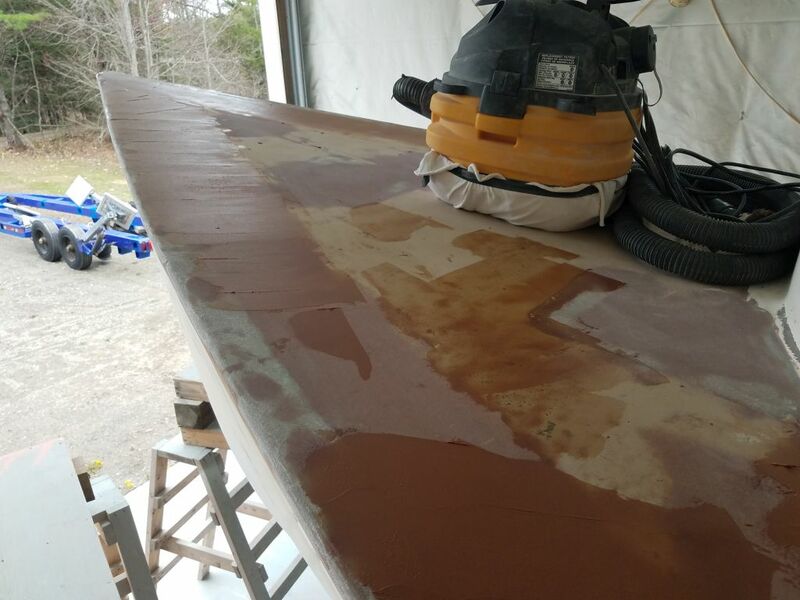 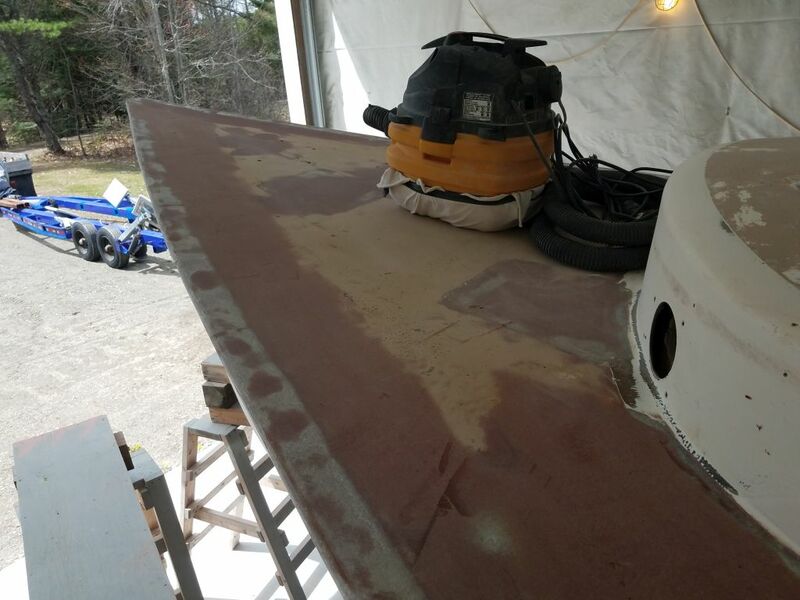 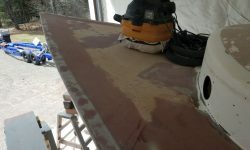 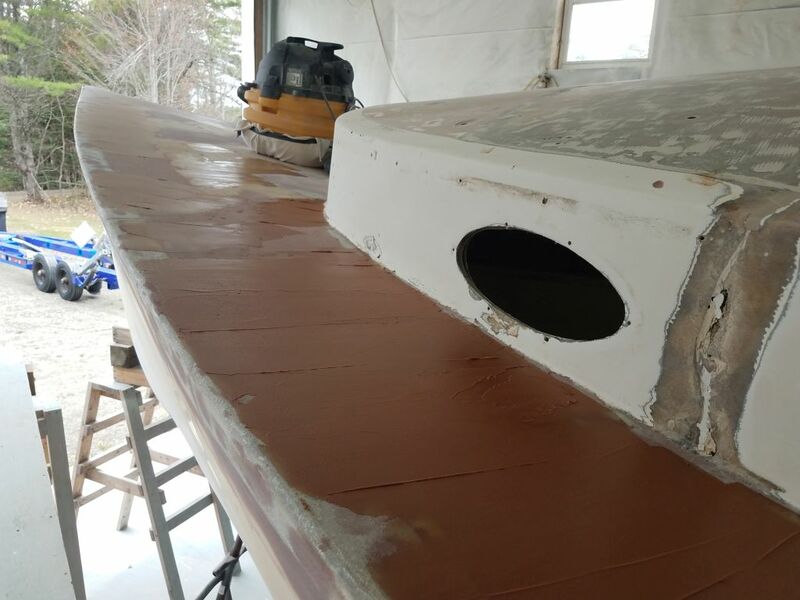 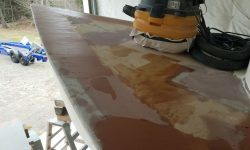 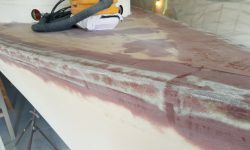 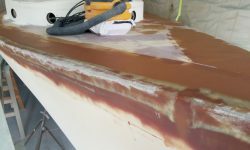 I began once more with the sander, sanding all the hull/deck joint as needed, interrupted for an hour or so while another boat departed the shop for the season. 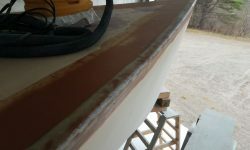 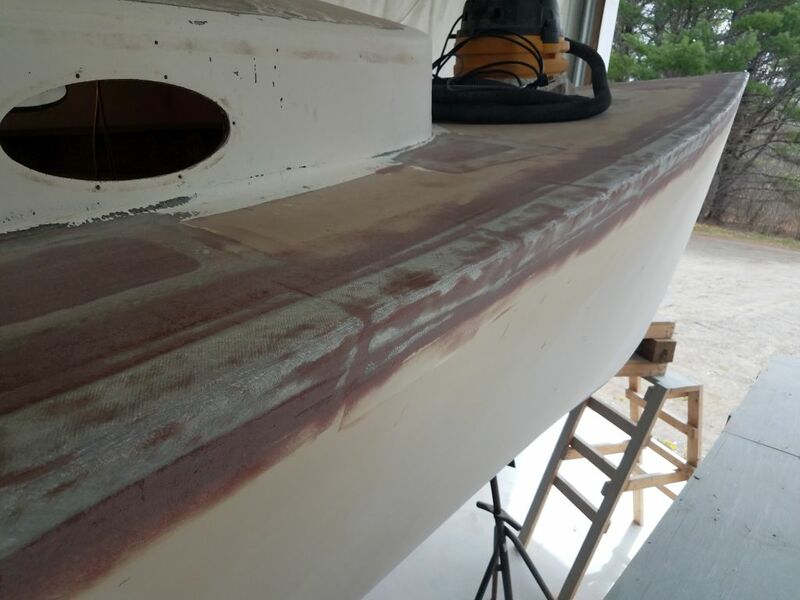 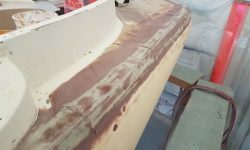 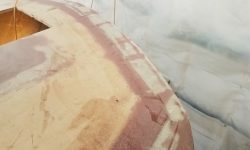 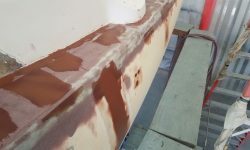 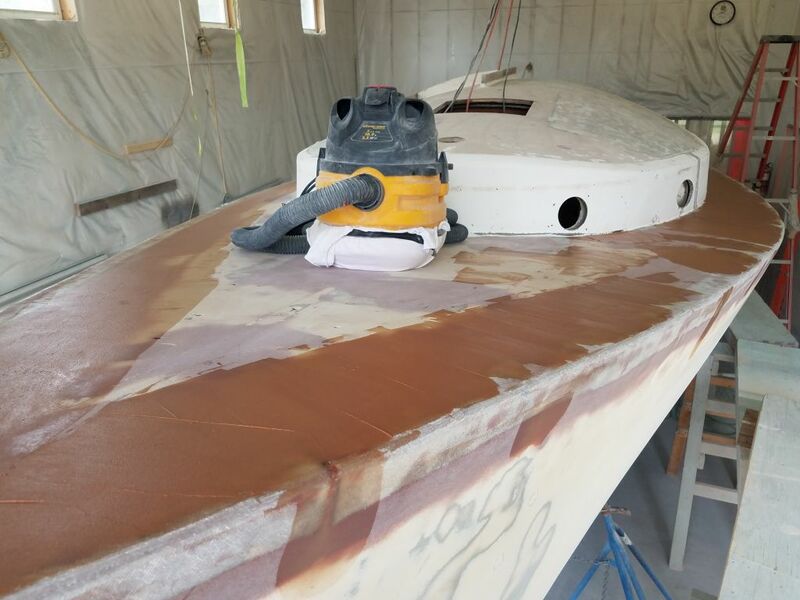 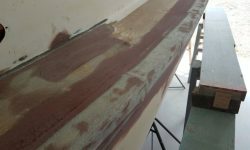 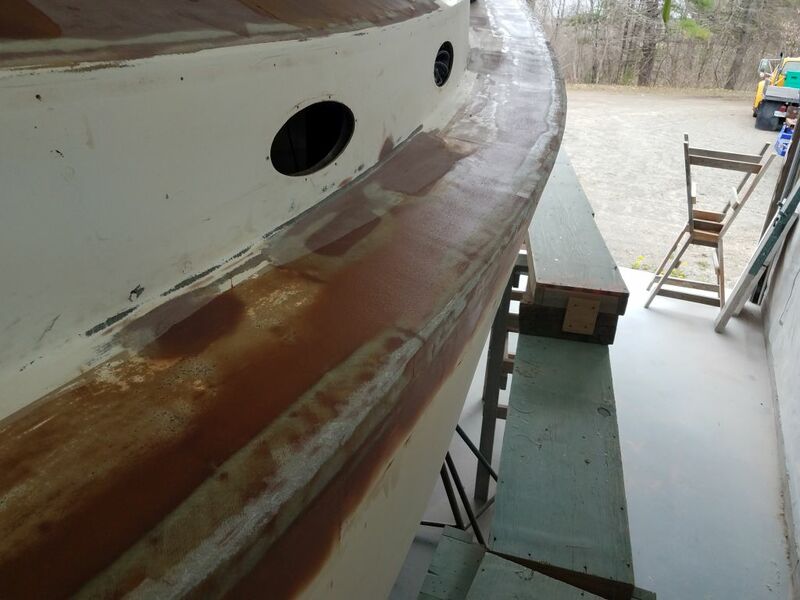 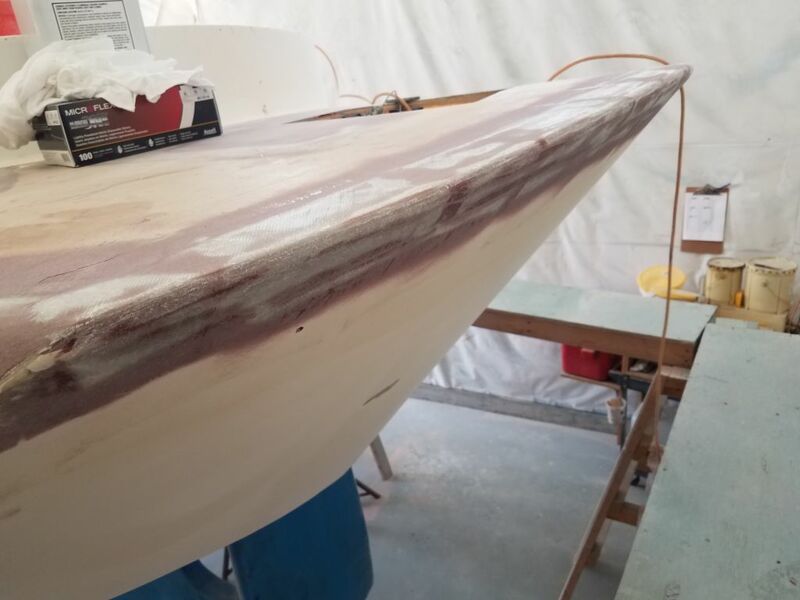 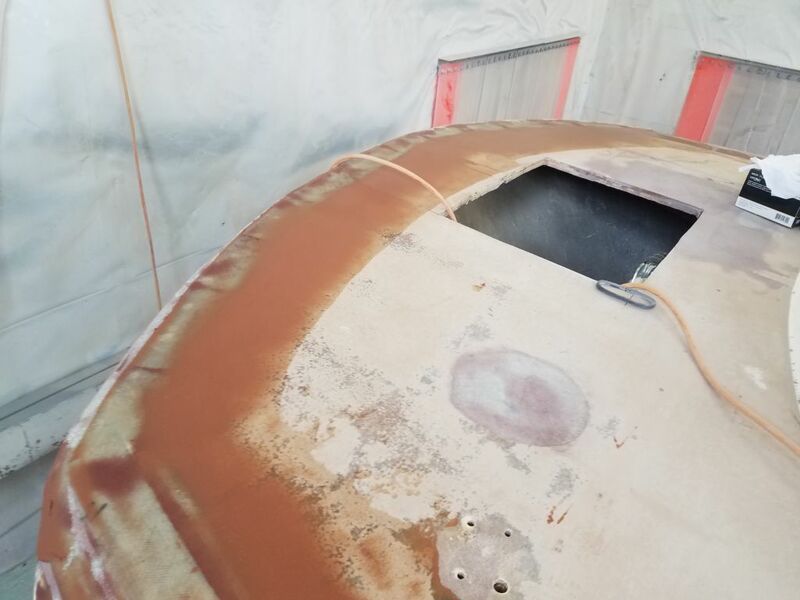 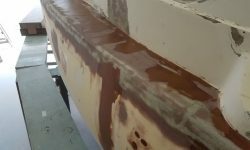 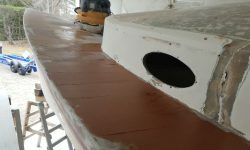 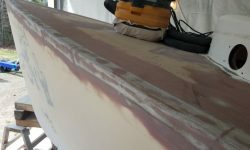 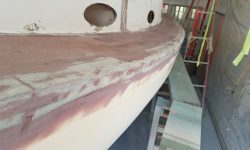 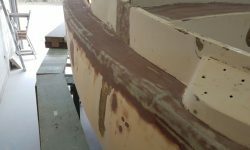 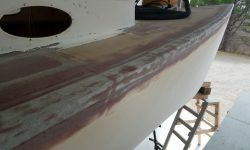 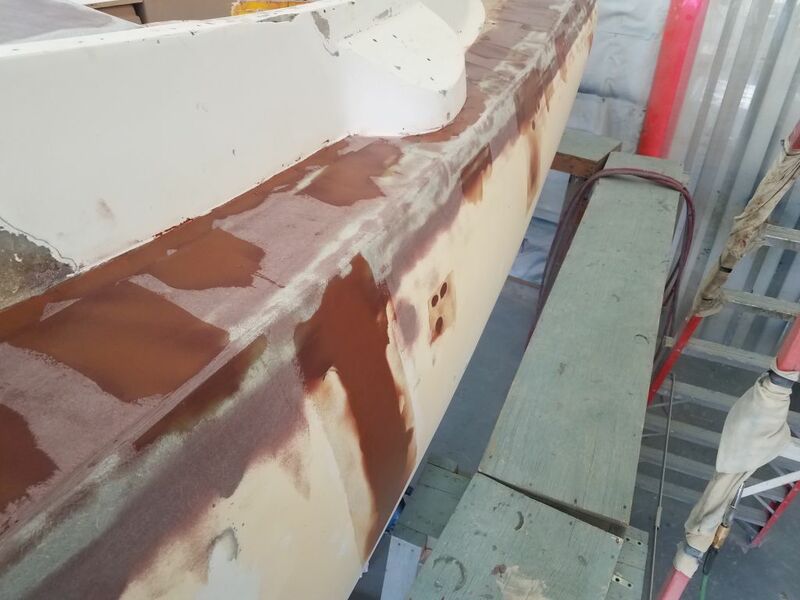 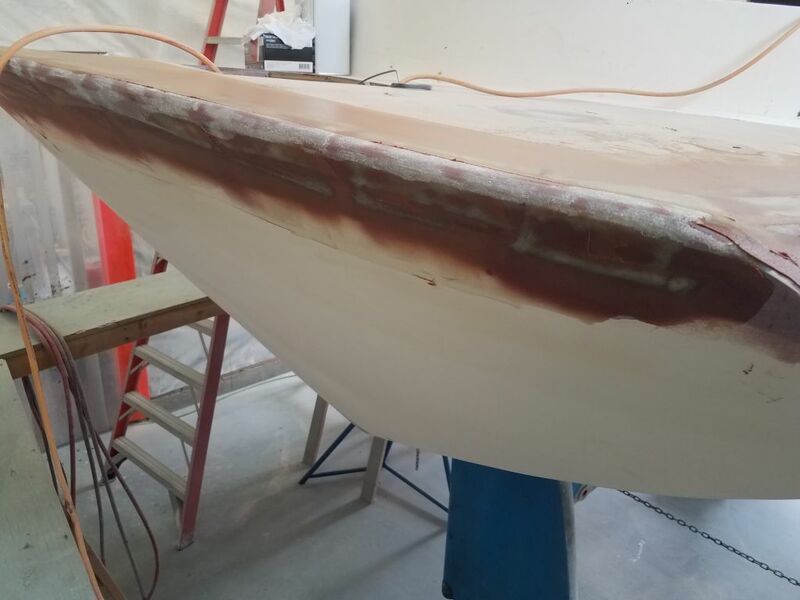 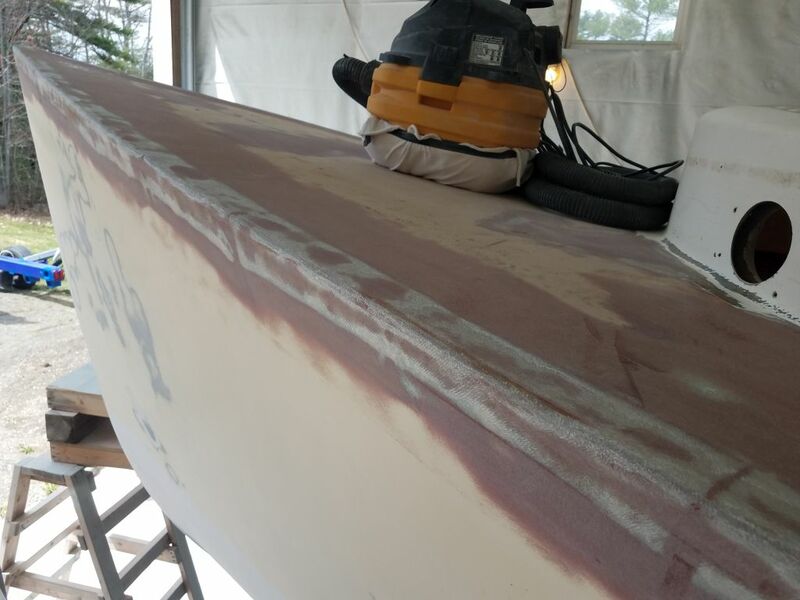 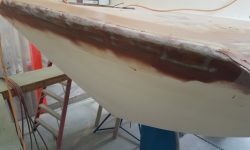 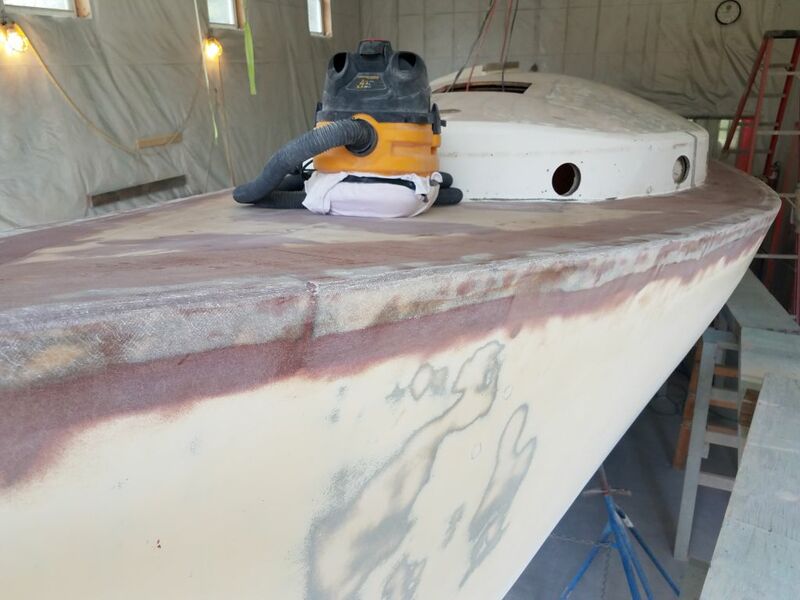 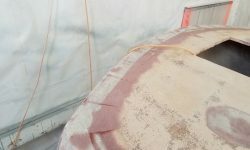 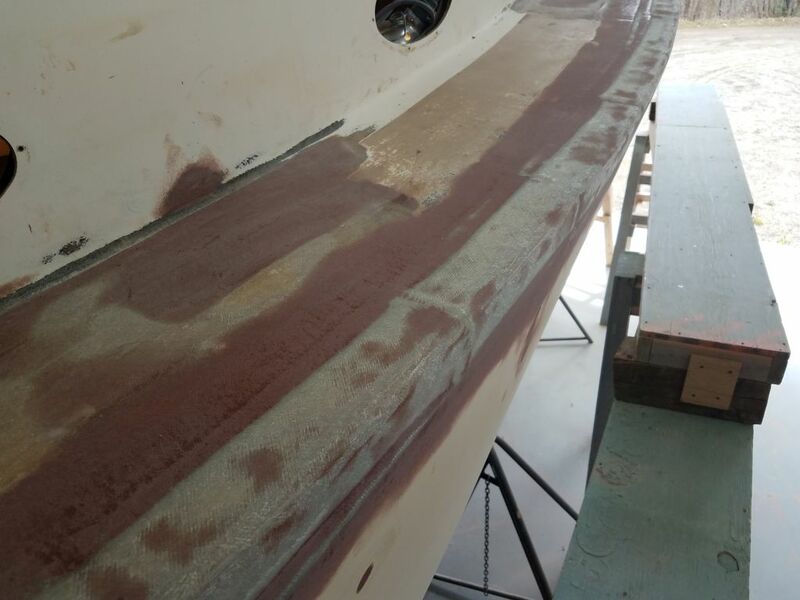 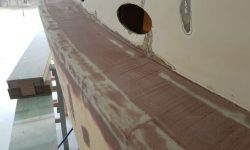 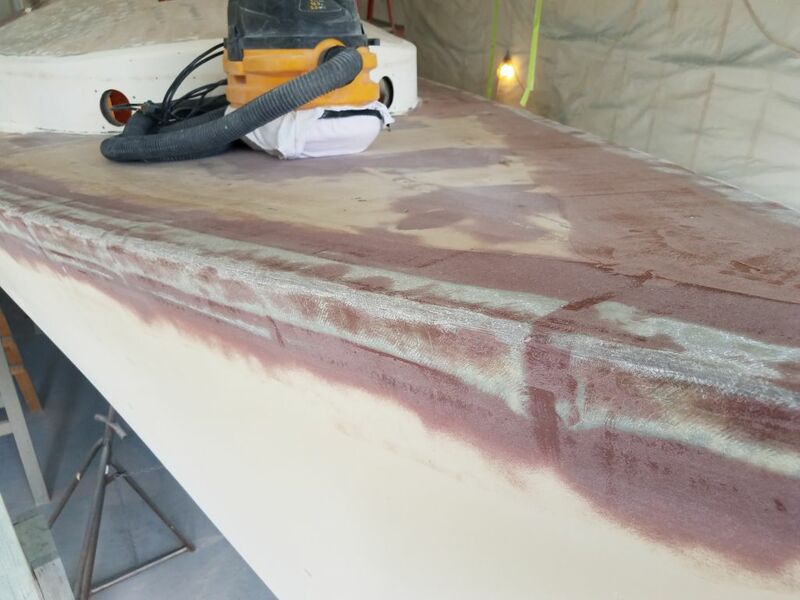 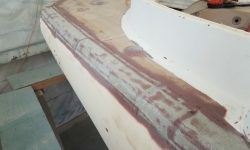 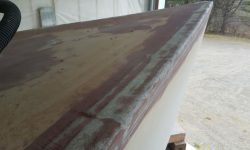 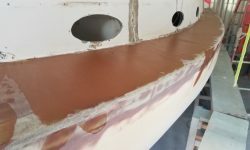 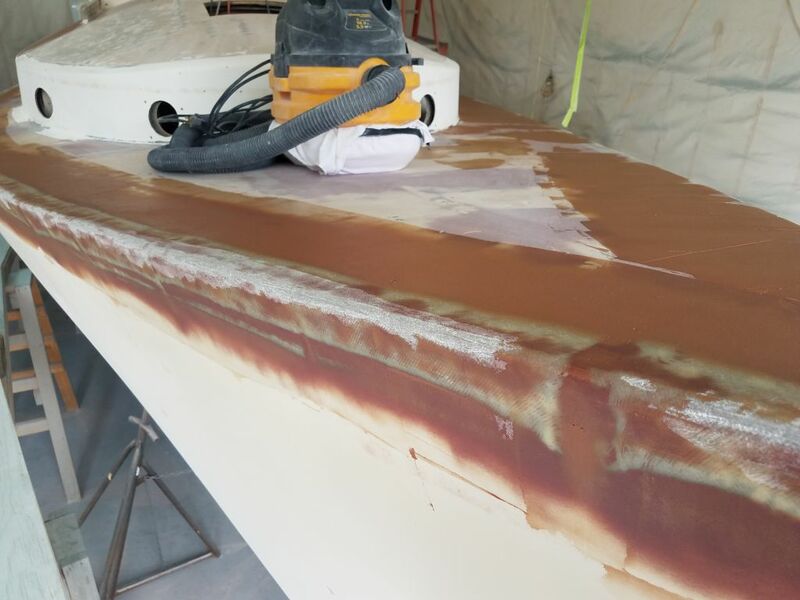 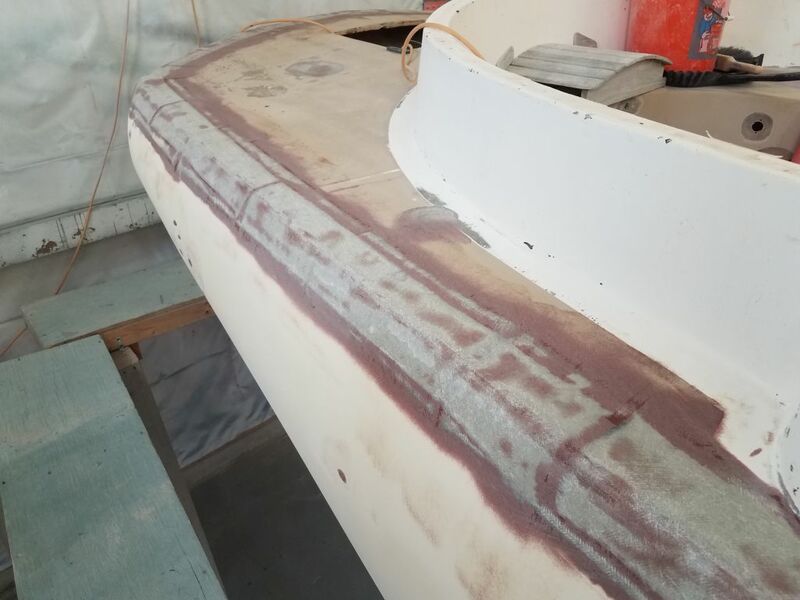 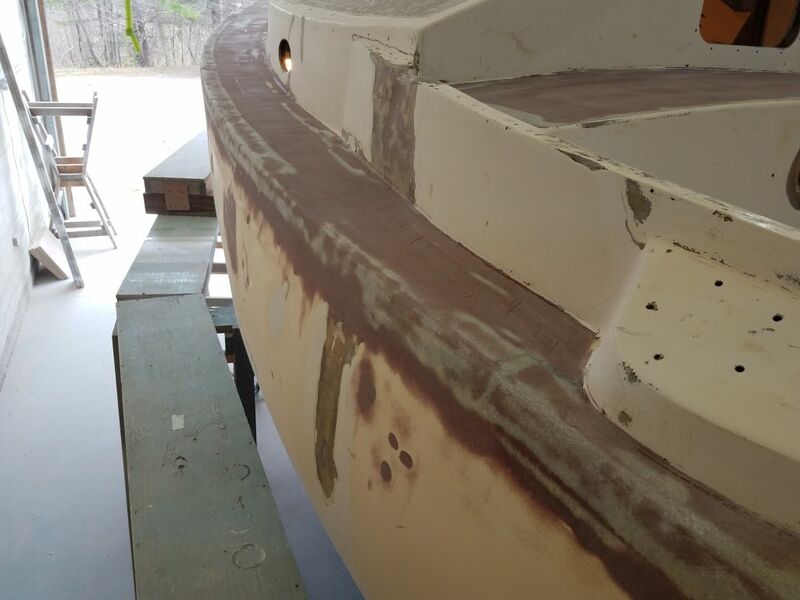 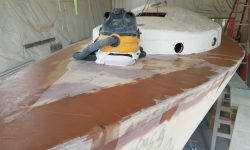 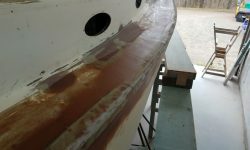 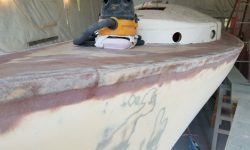 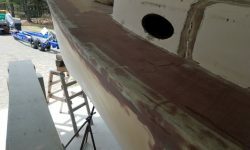 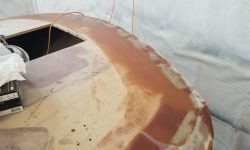 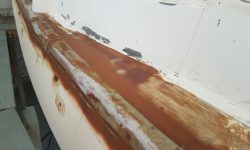 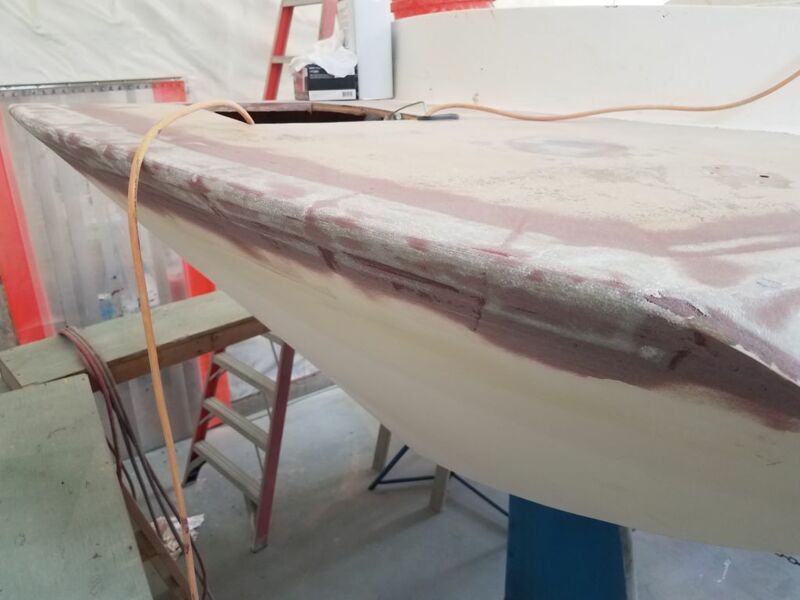 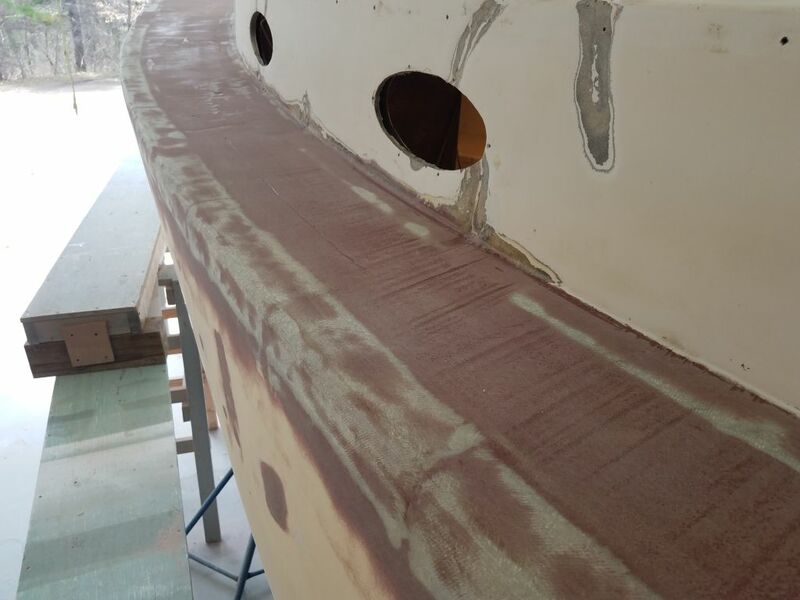 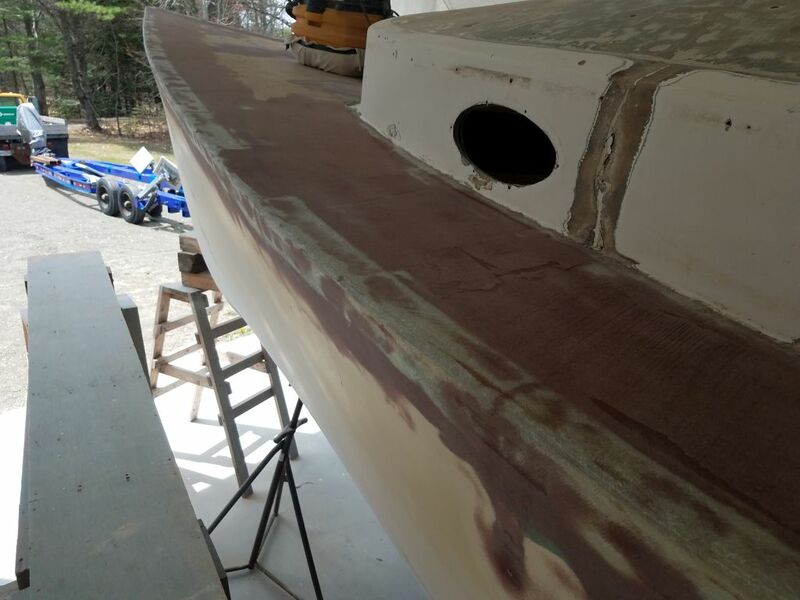 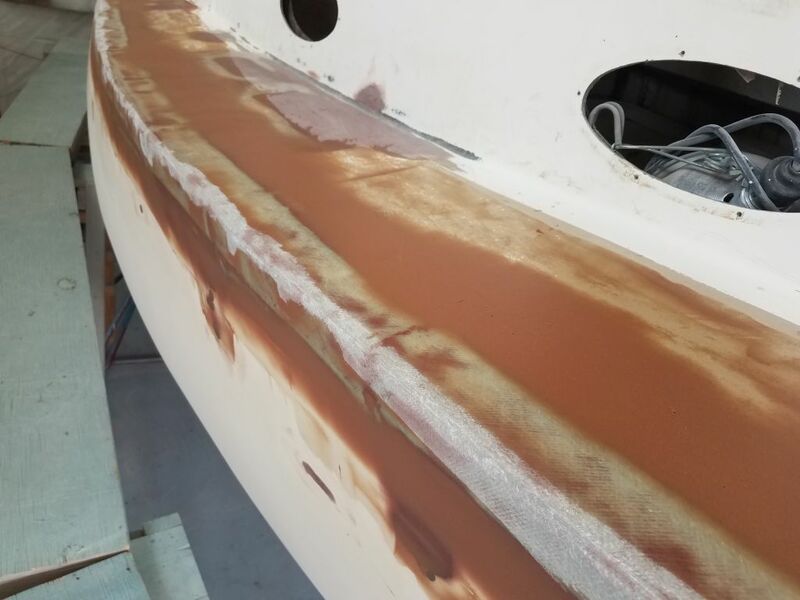 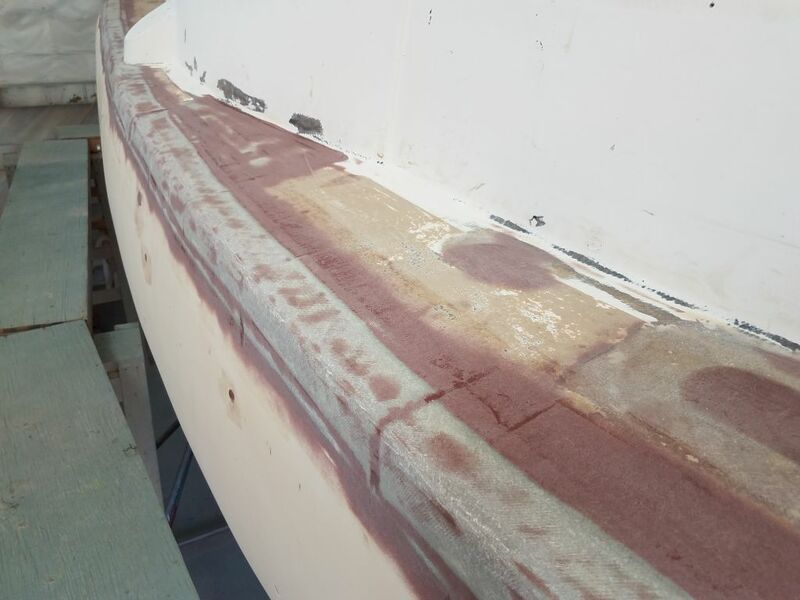 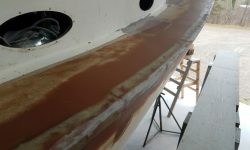 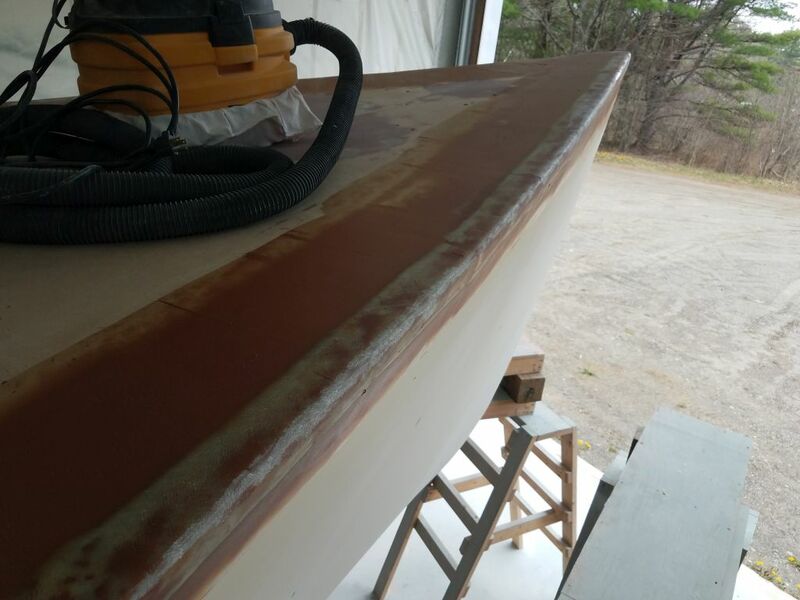 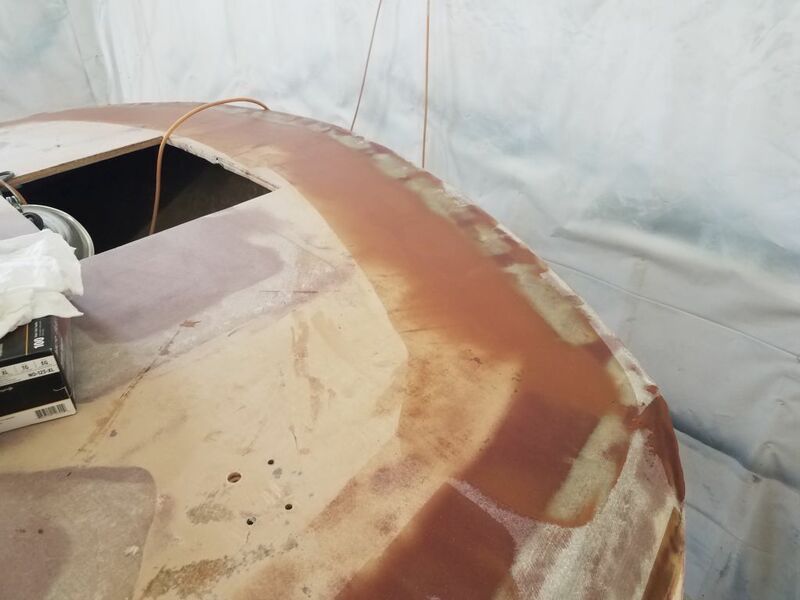 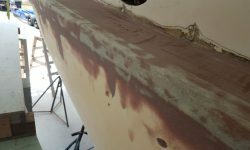 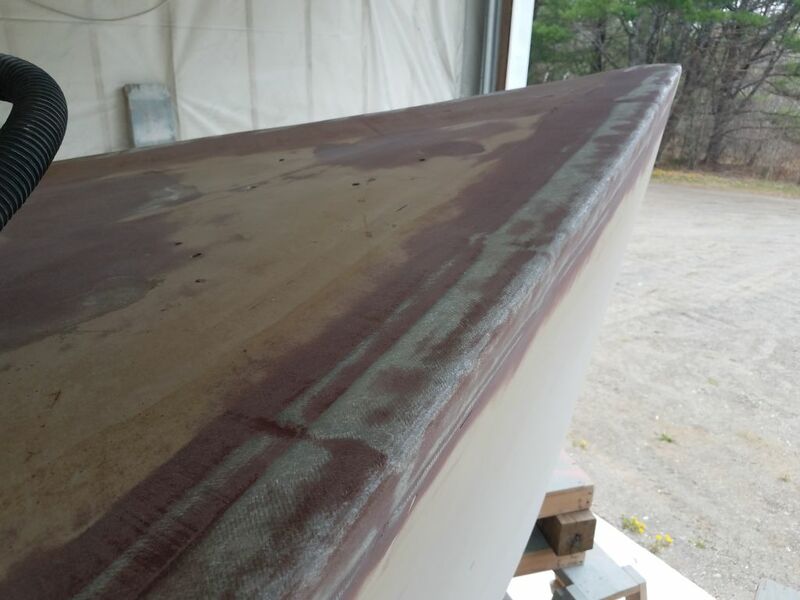 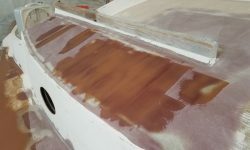 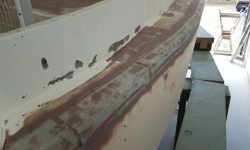 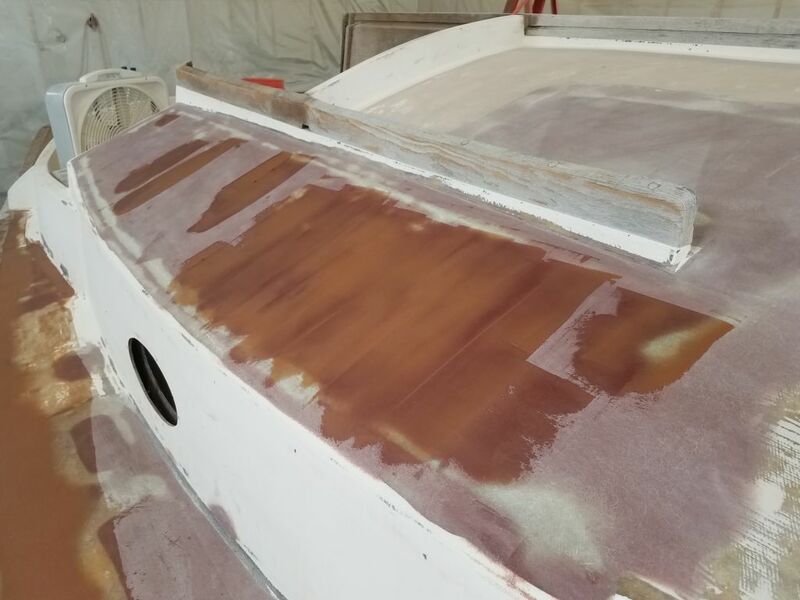 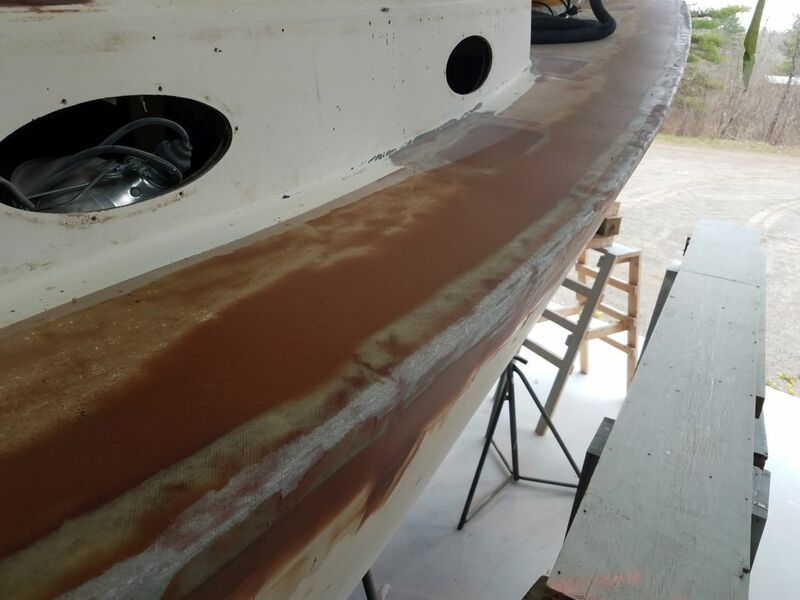 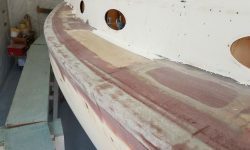 The port gunwale, with two coats of fairing compound, was nearly at final and appropriate contours on both hull and deck, but the deck side featured numerous chatter marks, pinholes, and other low areas from the previous application that would require additional work. 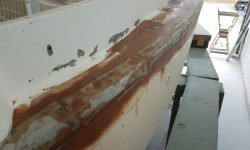 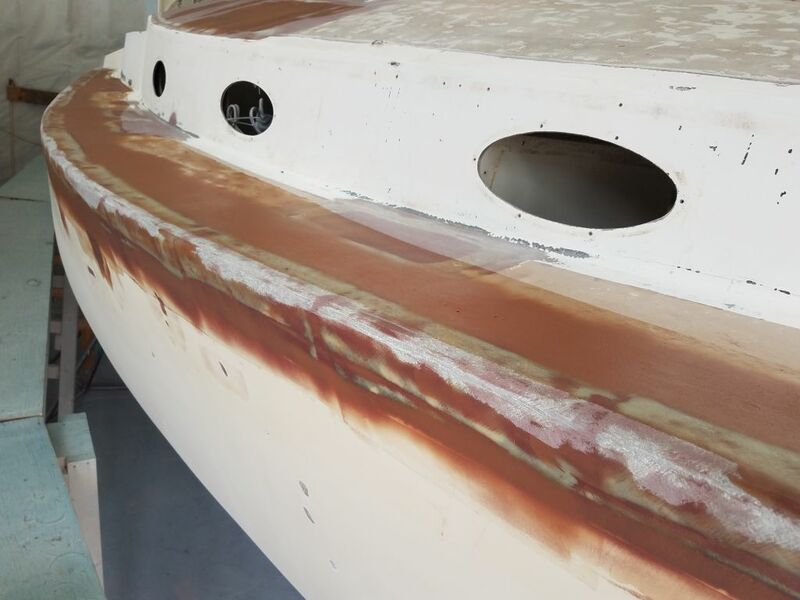 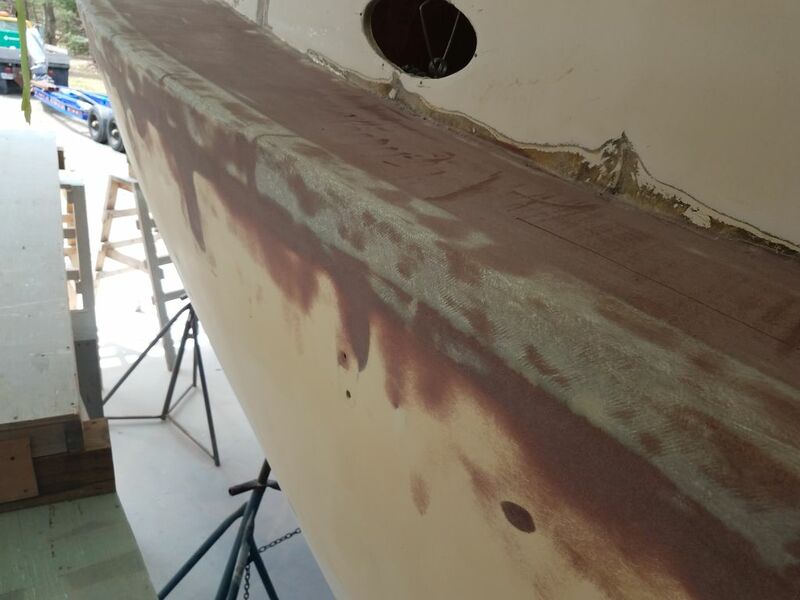 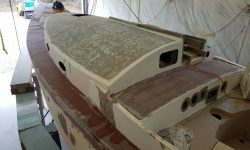 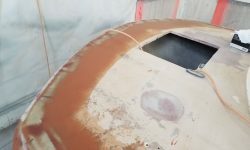 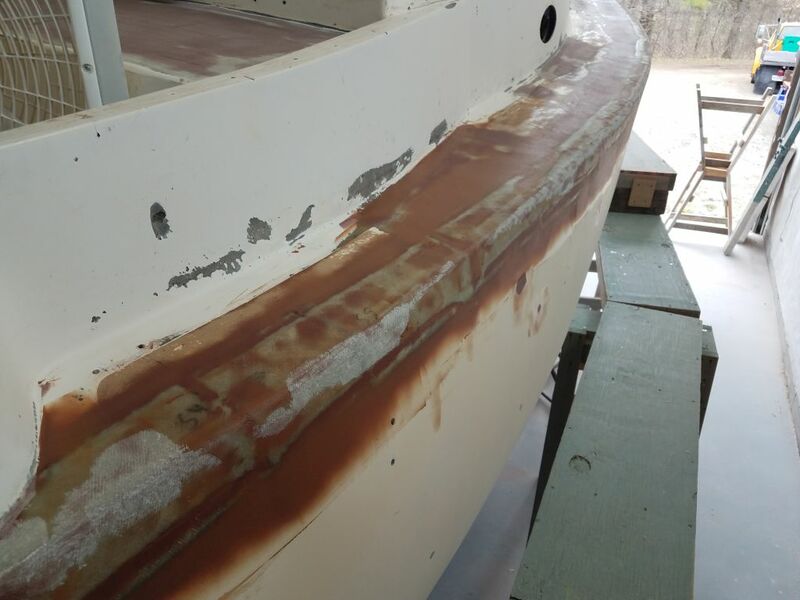 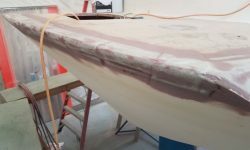 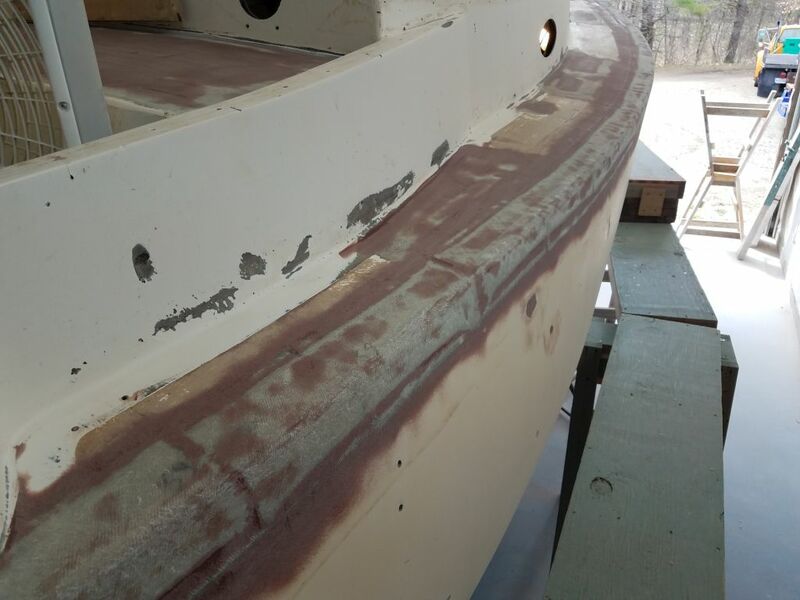 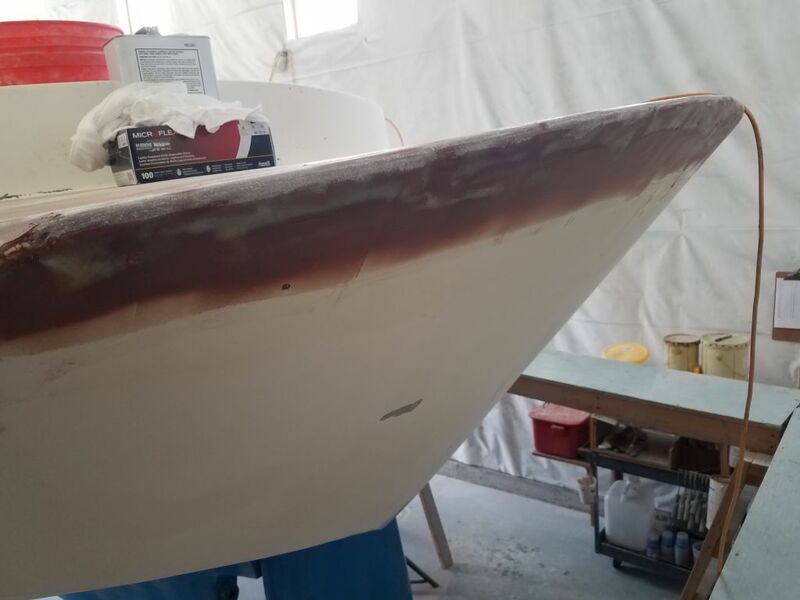 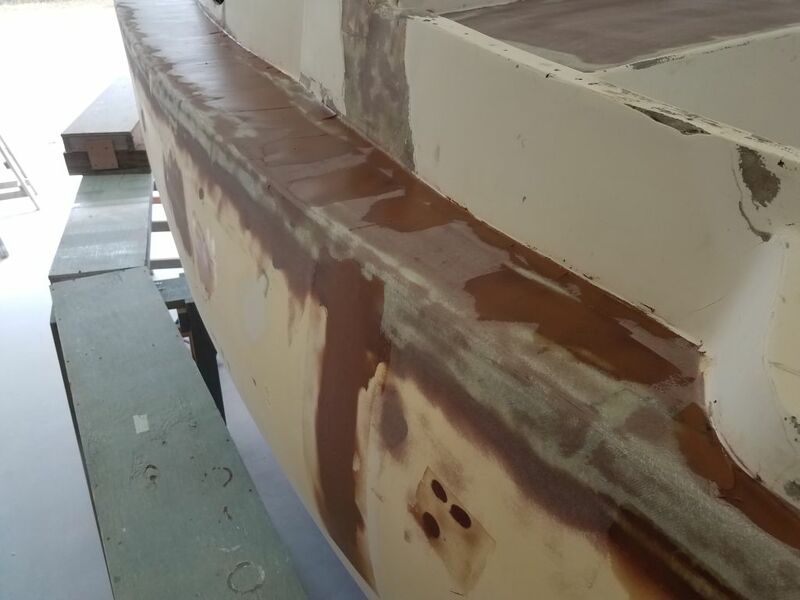 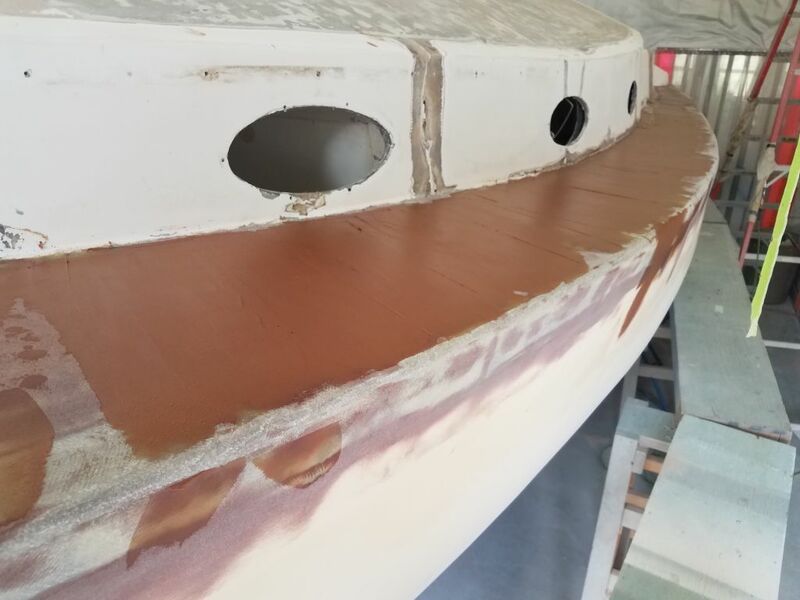 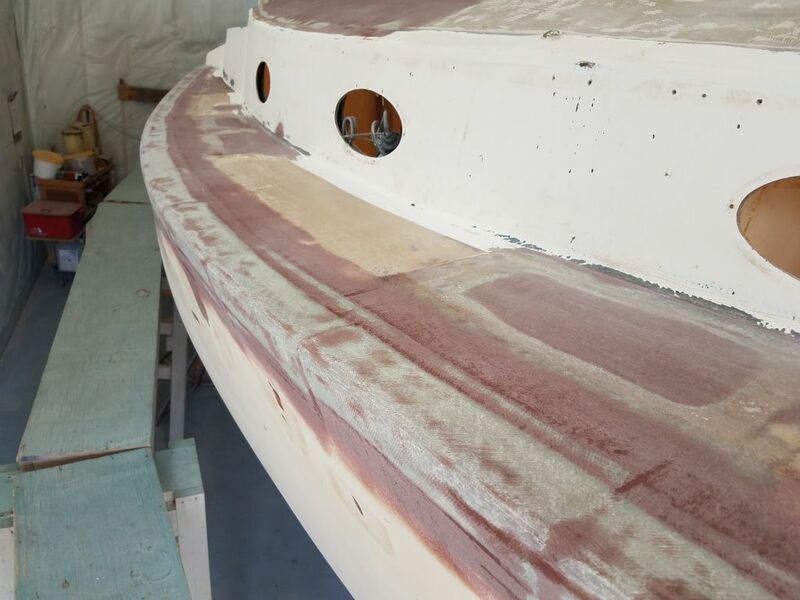 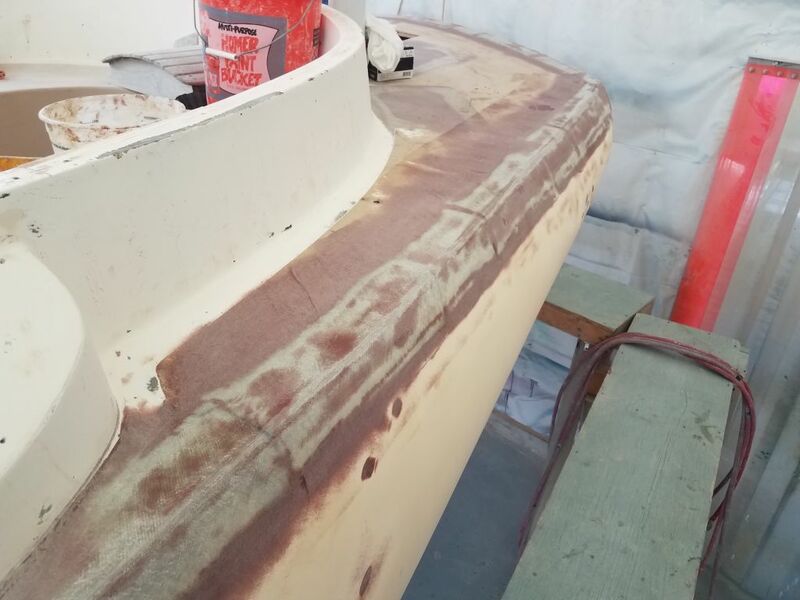 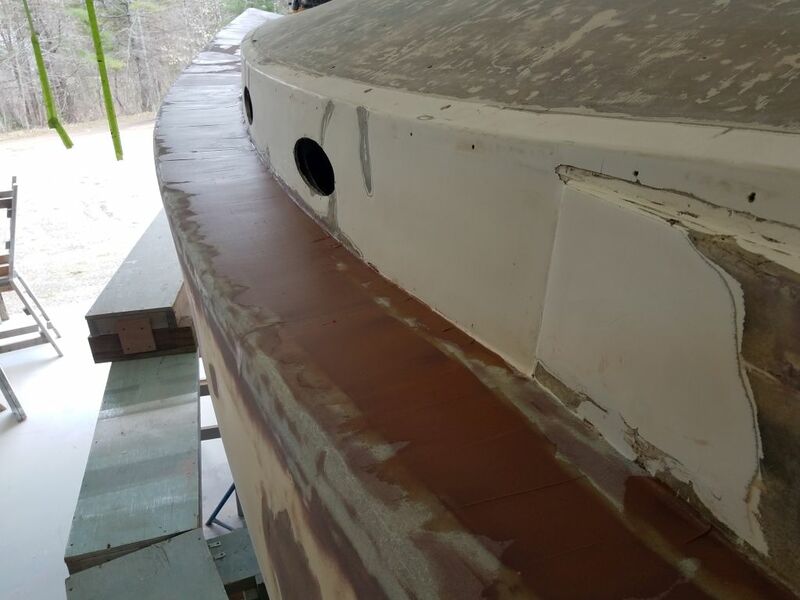 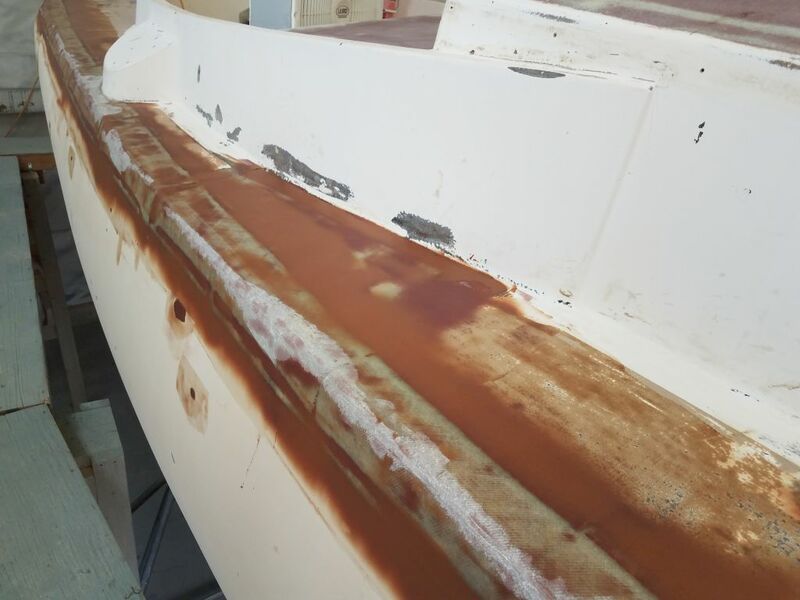 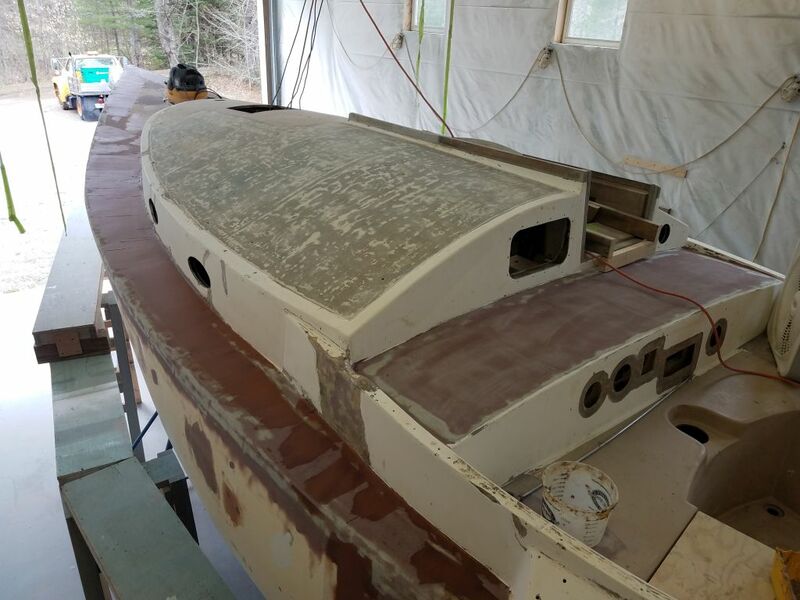 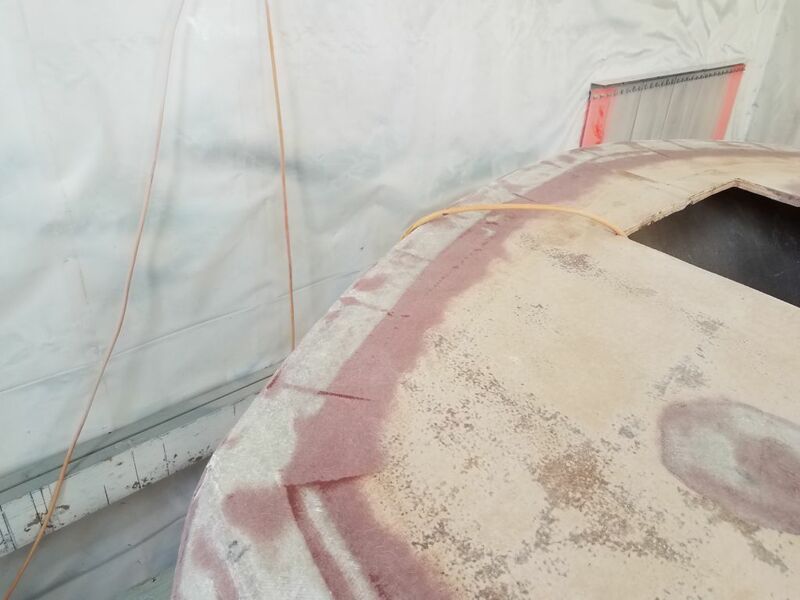 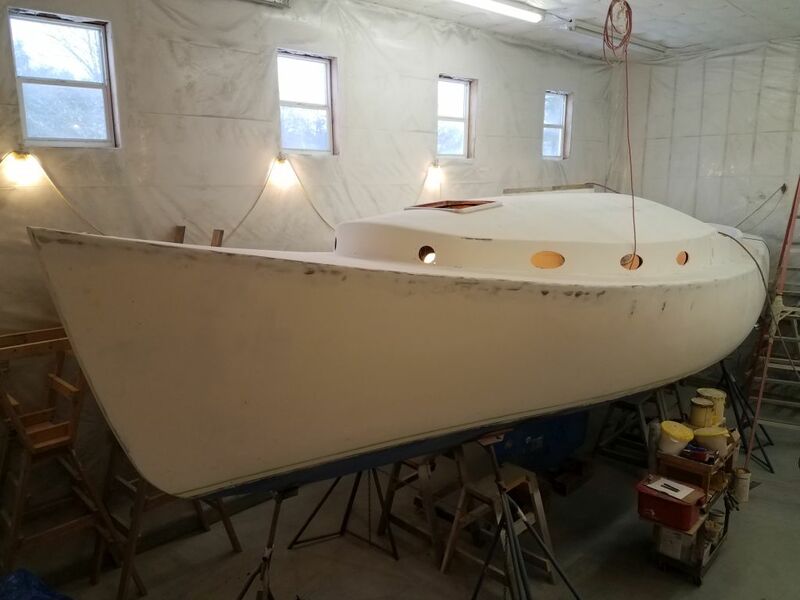 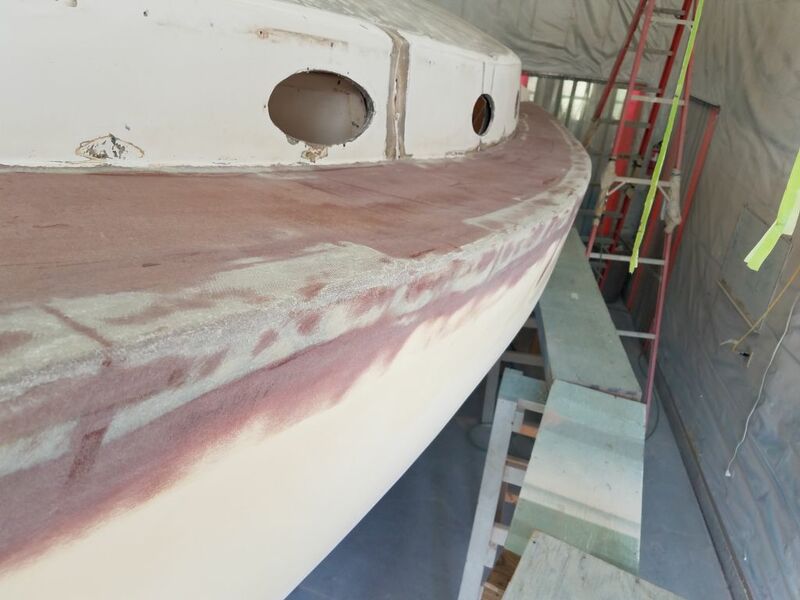 The starboard side and taffrail had a single coat of fairing compound, but with the original hull and deck in better shape on this side, things were already shaping up well, though additional applications would be required. 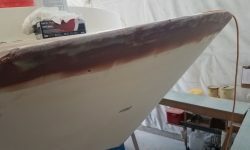 After cleaning up, I spot-applied more fairing compound on the port side, mostly focusing on skim-coating the port sidedeck to take care of most of the tool marks and other interruptions. 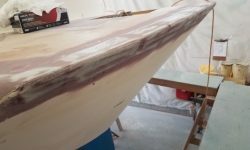 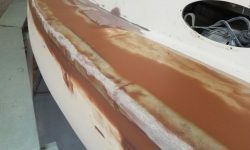 I’d planned from the getgo to use the fairing process from the hull/deck joint glasswork to bring the whole deck contour to where it needed to be, and with this application it looked like I’d be nearly there once it cured and I could sand it. 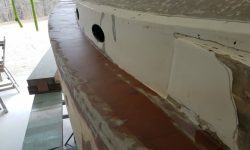 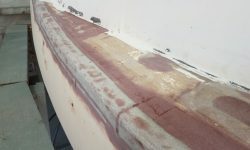 On the starboard side and taffrail, I used a wider trowel to bring the new gunwale edge smooth and fair into the existing deck surfaces, much as I’d done on the port side earlier. 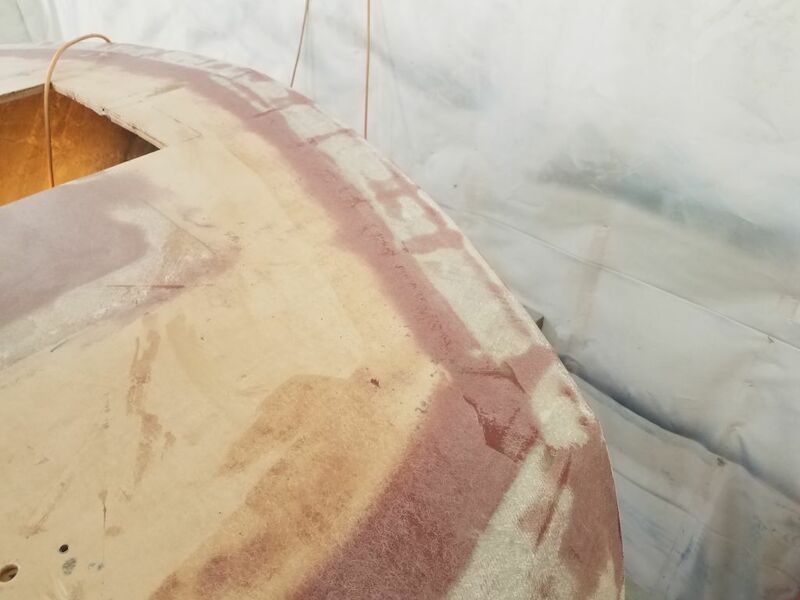 Here, I expected that the second application would essentially complete the fairing work, with only minor spot-filling left to go. 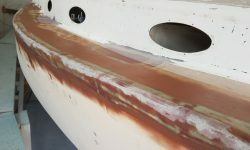 With the most major deck repair work now approaching some state of completion and readiness, I looked forward in the coming days to focusing on the remaining (and still relatively substantial) deck work, including additional hole patching (instrument holes and other areas in the cockpit, plus several small repairs on the cabin sides), as well as continuing surface preparations and fairing work on the coachroof and nearby areas.